The weekend's rain could be an indicator of the winter to come. 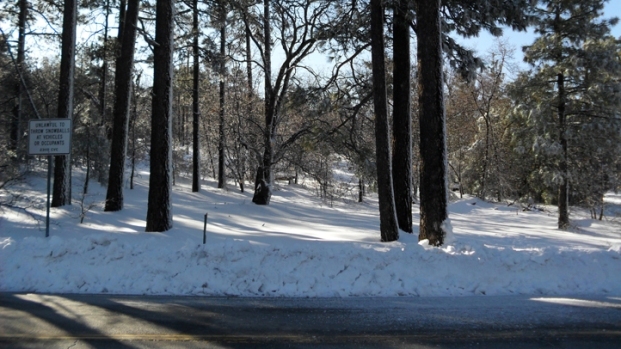 Forecasters were expecting La Niña conditions to return this year, serving up a dry, cold winter. However, other climate factors may dampen that forecast. Last year was a La Niña year, but you wouldn’t have guessed it looking at the figures. “That was the wettest La Niña winter we’ve had in 60 years,” said Pierce. The National Oceanic and Atmospheric Administration stated in its winter outlook that an Arctic Oscillation could become a "wild card," ruling out a dry La Nina winter, according to our media partner, the North County Times. This means cold, moist air from Canada could potentially blow in. That's what happened last year, and forecasters aren't sure if it will happen again this year. Normally in a La Niña year we get about seven inches of rain compared to 10 inches a year in a normal year. “One of the reasons it affects us here, La Niña typically makes the whole southwestern United States dry and we import half our water from the Colorado river, so that’s important to us,” said Pierce. This "wild card" weather may work in favor of firefighters if rain like this weekend's continues into the fall and winter. “When we’ve got these dry conditions, fires can be worse. What affects fires is more than how much rain falls this year, they’re also influenced by how much rain fell last year because that’s what makes bushes and trees grow,” said Pierce.